I have started collecting a lot of TV show memorabilia which I've decided to show everyone. These two are Dexter (from the hit Showtime series). 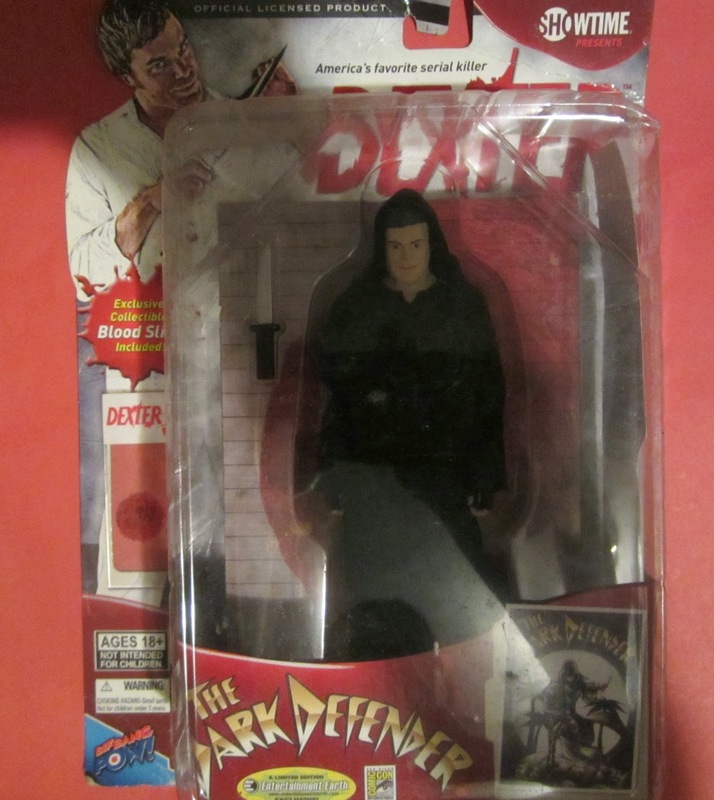 One is a bobblehead and the other a rare "The Dark Defender" figure from San Diego Comic Con. 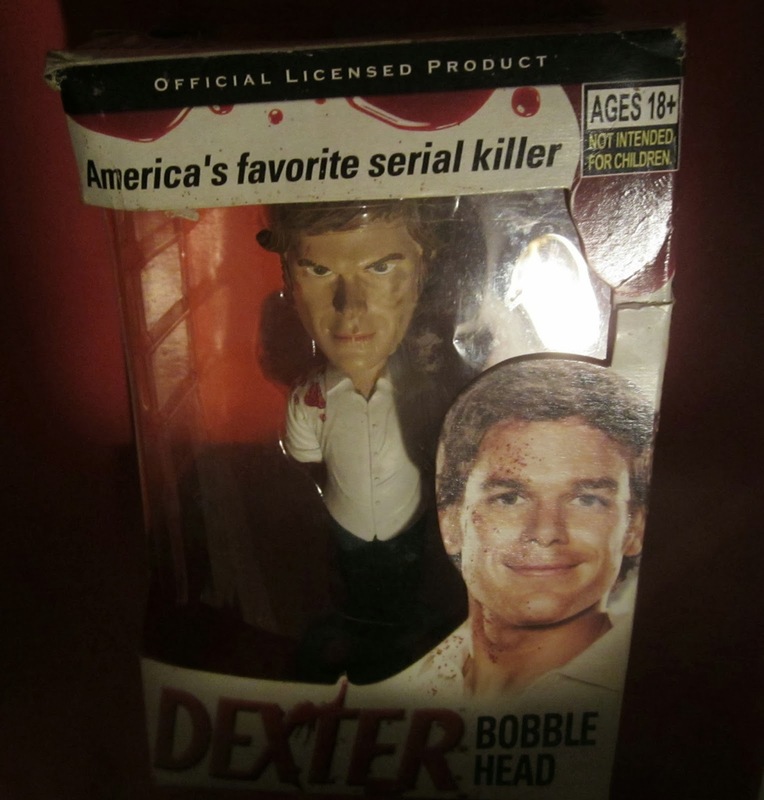 I also have Dexter trading card relics--officially worn by cast members so keep an eye out for when I show everyone those.